Please do not wait until the day of your event. Some issues can take a few days to resolve. Make sure all scanning devices are fully charged. It's not necessary to print this PDF. You can scan the tickets right off your screen. Others may be using this test event at the same time. To see where scans have come from, enter camera mode and double-tap the total scan number in the top right corner. The app assigns each scanning device a unique name randomly. You can find the device name under Device Data on the Stat Screen. This test event automatically resets every 2 hours on even numbers (e.g. 2:00, 4:00, etc.) in US Eastern Time. We recommend removing the test event and re-adding it every time this happens. While in camera mode, tap the X in the top left corner to view the Stat Screen. Device Data for developer when troubleshooting. Resume camera mode for scanning tickets. 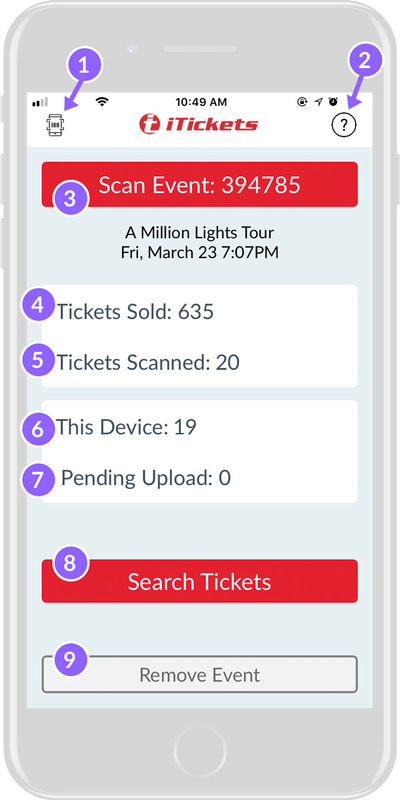 Total successful ticket scans across all devices for the event. Successful ticket scans by this device only. Tickets this device scanned in Offline Mode as "good," waiting to be uploaded when it reconnects. Remove event details from this device. Select "Search Tickets" on the Stat Screen. After scanning a ticket in camera mode, double-tap the status message at the bottom. It will take you to the order on the Ticket Search Screen, and mark that ticket with a star. 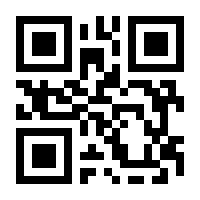 Swipe right on a ticket to manually mark it as "scanned." Tickets are color-coded by status. 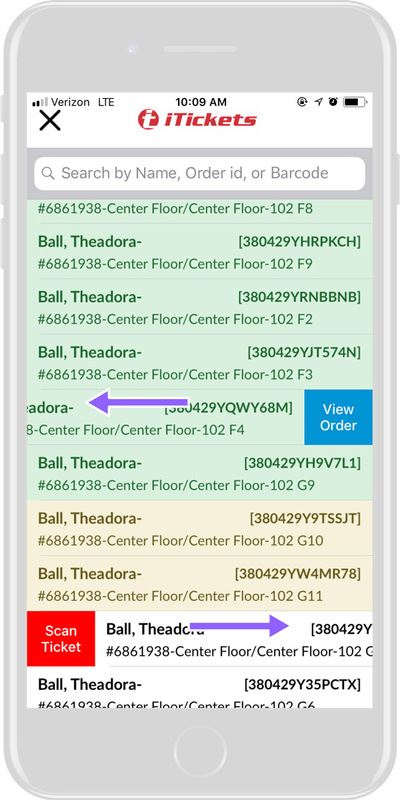 You can search by name, order ID, ticket barcode, or status (green, yellow/pending, or red). White = not yet scanned. Green = scanned as good. Yellow = pending upload once the device reconnects. Red = scanned as good in Offline Mode, then found to be void/invalid when the device reconnected. Having Trouble? Tap the icon in the top left, take a screenshot of the Device Data, and text it to .